Contributor Bunlee created this magnificent aerial tour of the front range of the Canadian Rockies range in Alberta. 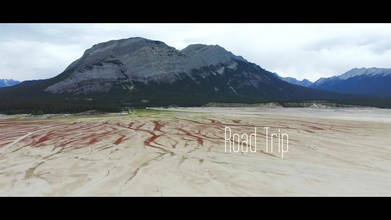 The video was shot on a road trip to Kananaskis country, a large park area in the range's foothills, situated roughly between (and a bit east of) the Banff and Jasper national parks. Kananaskis Country was the shooting location for much of the 2015 movie The Revenant, which garnered actor Leonard Di Caprio his first Oscar award for Best Actor.